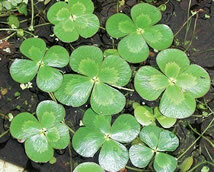 Shamrock Septic Inc. is a family owned and operated business that has serviced their customers for more than 20 years. The owners Pat and Charlotte Murray live and work right here in the same community as our customers. No big outside companies telling them what to do. They have raised their family in the Matanuska Susitna Valley and are familiar with some of the struggles that residents of Alaska have that many lower 48 residents do not when it comes to septic systems. They are aware of some of the unique and creative ways people in Alaska do things to maintain their way of life. They use that same creativeness in their approach to many problems they come across in the day to day operations of a septic pumper. They are aware of the conditions that make it challenging to properly maintain both the residential and commercial systems in Alaska and are up to the challenge for many years to come. We have several qualified technicians ready to serve your residential and commercial needs. 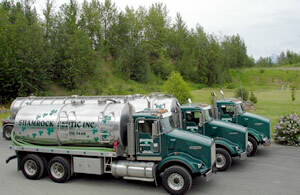 We do septic cleaning along with holding tanks, grease traps, and other non conventional services as needed. We use the finest up to date technology as well as many modified tools to accomplish the task at hand and keep your system working efficiently. Our equipment is our own and we maintain it to the highest standards. We purchase and operate only top-grade equipment. The safety of our crews and that of our customers is an utmost concern. We strive for ultimate customer satisfaction. Our dedicated staff will work together to make your servicing needs an enjoyable experience. We work hard to keep your business flowing in the right direction. We look forward to working with our fellow Alaskans. Here are some of the many services we provide. If you don’t see what you need, please give us a call. We’ll be happy to help you. Septic Tank Cleaning / Pumping - Septic Tank Pumping on a regular schedule will improve your system's efficiency and keep it running smoothly. 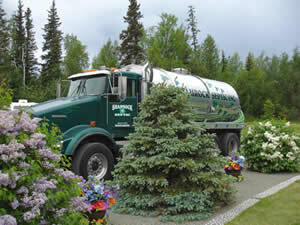 But using a quick "get in and get out" Septic Tank Pumping service could spell costly trouble down the road. Your Septic Tank should be pumped every 1 to 5 years depending on household size and usage. Copyright © 2017 Shamrock Septic Inc. All Rights Reserved.